Get ready to geek out over something seriously awesome. Being an immigration officer may be a difficult job that requires a lot of focus, but that’s not stopping ICE agent Michael Calloway from doing a little badass daydreaming while on the clock: Calloway is currently arresting an immigrant woman while thinking about who will eventually play him in a badass biographical film called American Sentinel. Wow! That sounds like it will be a thrilling, must-see movie once the casting is finalized in Michael’s head! 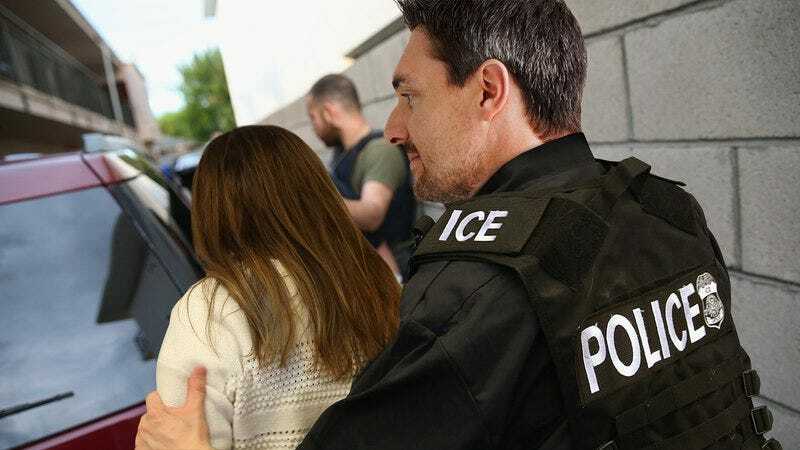 As the undocumented woman, who has lived in the U.S. since being brought here as a child in 1987, is being led away from her husband and two children by Calloway, the future protagonist ICE agent is carefully considering several action stars to portray himself, ranging from Vin Diesel to Michael Chiklis. At the moment, as Officer Calloway drives the woman toward an ICE detention facility, he’s trying to decide between the tag lines “Justice Never Sleeps” or “He Is The Wall.” Either way, his imaginary movie sounds like an edge-of-your-seat thrill ride!